The United States collected six medals on a frantic day in the snowboard cross competition at the Jeongseon Alpine Center. 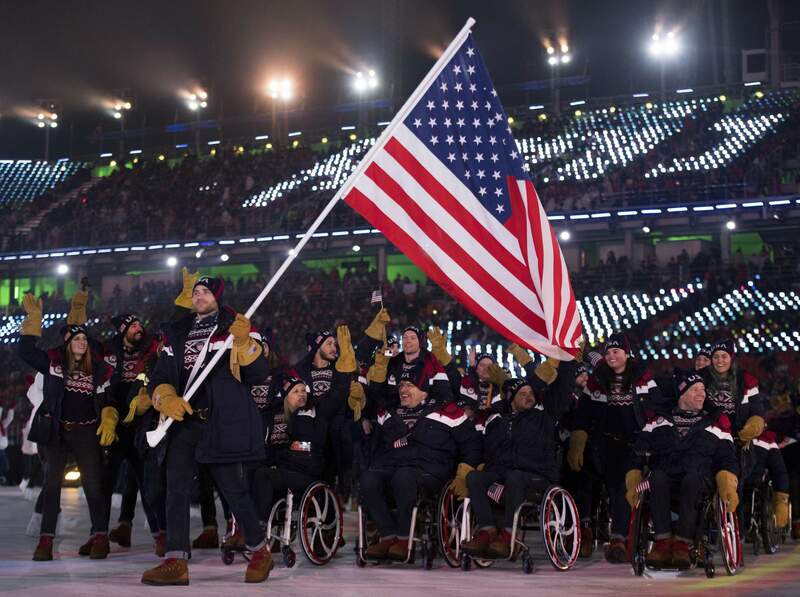 Paralympic debutante Brenna Huckaby recovered from a poor qualification round to lead an American one-two in the women’s SB-LL1 event as she captured the gold medal after beating compatriot Amy Purdy in the final. France’s Cecile Hernandez, the best rider in the qualifying events, claimed bronze. Mike Schultz, who carried the US flag at the Paralympic Opening Ceremony last Friday (March 9), made it an American golden double in the SB-LL1 category after his victory over Chris Vos of The Netherlands in the men’s event. Another American, Noah Elliott, who had led the qualification rounds, secured the bronze medal. That was the end of the gold rush for the US but they still managed to claim silver in the men’s SB-LL2 competition through Keith Gabel. Finland’s Matti Suur-Hamari was the beneficiary of a Gabel slip early on in the race, allowing him to streak clear and win the gold medal. Gurimu Narita of Japan claimed the bronze medal. In the women’s SB-LL2 event, Bibian Mentel-Spee of The Netherlands defended the title she won at Sochi 2014 by beating compatriot Lisa Bunschoten in the main final. Astrid Fina Paredes of Spain, whose best achievement to date was a World Cup silver medal, claimed the bronze medal. Simon Patmore, a 200 meter bronze medalist at the 2012 Summer Paralympics in London, won Australia’s first gold medal at these Games thanks to his victory over Italy’s Manuel Pozzerie in the main final of the men’s SB-UL competition. Mike Minor of the United States collected the bronze medal. The snowboarders are due be back in action on Friday (March 16) to compete in the banked slalom competition.